The Chinese New Year is approaching! 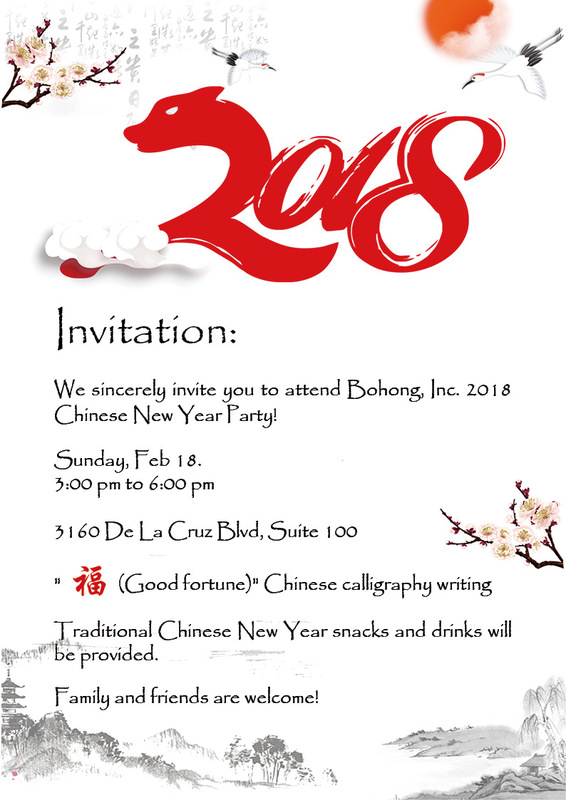 We sincerely invite you to attend the Chinese New Year Party held at our company ’s Santa Clara office on Feb. 18 (Sunday, 3:00 pm to 6:00 pm). We will have activities such as writing Chinese calligraphy, and traditional Chinese food will be provided. We welcome all real estate industry professional to attend this party, and your family and friends are also welcome.